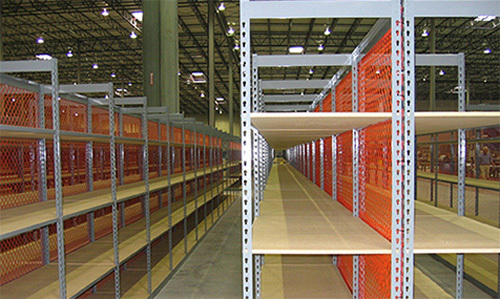 When most of us look at steel shelving we see, well, steel shelving, but the truth is, you can customize it more than any other type of industrial shelving to give you additional storage options that better fit your specific storage needs. Let’s examine some of the possibilities. 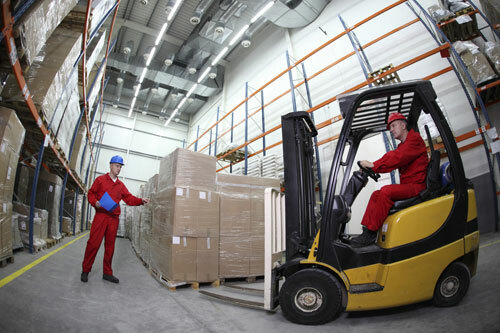 Forklifts are often acknowledged as the top safety issue in warehouse and distribution center operations. A number of things make this true: first, forklifts account for 1% of industrial accidents, but 10% of injuries. Secondly, a given forklift has a 90% chance of an accident during its useful life. More alarming is that forklifts account for 85 to 100 deaths in the United States ever year. Let’s explore some ways you can make forklift use safer in your facility. An excellent way to move products vertically in a distribution environment is through spiral conveyors. You can move materials between levels (pick modules, mezzanines, multi-story buildings) using several methods, but when it comes to carton or tote loads that are so common in order picking applications, the choice tends to be between spiral conveyors, incline conveyors, and package handling lifts. We published an article in the third quarter of the MHEDA Journal, Automation and Labor: Can’t They Get Along? The point of that article is that for American labor, robots aren’t currently reducing employment so much as changing it. Automated industries tend to be more profitable and less vulnerable to offshoring and other job-reducing factors. Our friends at AutoQuip brought up another point—that automated systems and lifts can add valuable years to the working lives of high-skill, aging employees. Guardrails are used to separate people, structures, machinery and valuable assets from heavy forklifts weighing more than 10,000 pounds. The requirements for durability and impact resistance are demanding, yet many don’t understand what types of impacts their systems can endure, and under what circumstances. The issue is compounded by the fact that many manufacturers simply don’t provide impact ratings for their guard rails. Some companies fabricate and install home-made railing, which is likely to never have been rated at all. 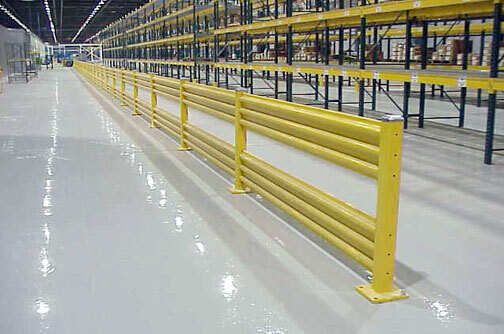 What can you do to ensure your guard railing system can protect your employees and property the way it’s supposed to? 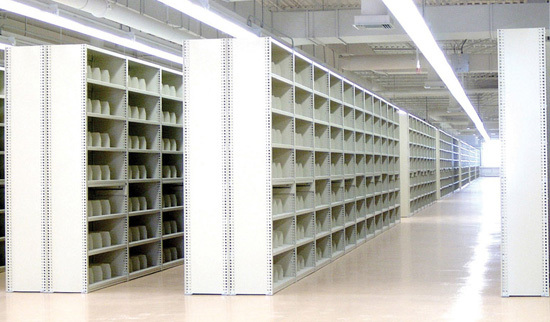 Rivet shelving is one of the most versatile forms of industrial shelving available. With individual shelf capacities up to 1,400 pounds, it rivals the load capacity of heavy wide span or pallet rack but is designed for carton and case storage. It assembles quickly due to its tear-drop and pin connectors and is extremely sturdy whether using a single-rivet or double-rivet design. It’s also available in an amazing array of sizes and layouts.